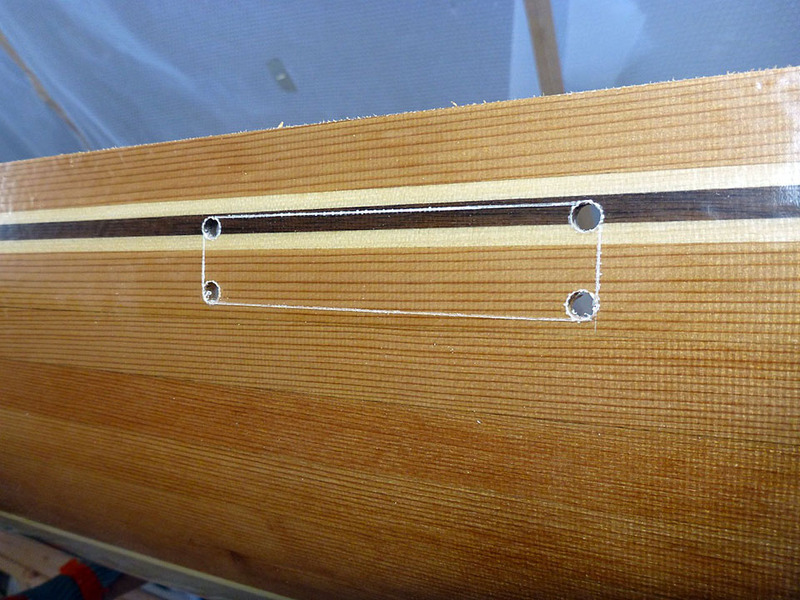 Marking the cutout for the skeg control box. The last few boats I have placed the control box on the side of the hull. This way they don't hold water and they are out of the way.